If Africa is to effectively participate in the global trading environment and reach its true economic potential it will require a level of investment in infrastructure that goes well beyond the capacity of governments. The private sector will need to be involved and if this is to happen then instruments to reduce risk levels and increase returns will need to be developed (1). Africa’s infrastructure needs are substantial and go well beyond what donors and continental, regional and multilateral development banks can provide. 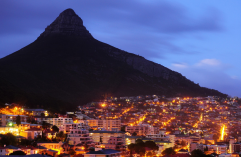 The Africa Infrastructure Country Diagnostic (AICD) estimates Africa’s current infrastructure financing requirements at US$93 billion or about 15 per cent of Africa’s GDP. Two thirds of this US$93 billion is needed in investment and one-third in maintenance. African governments, infrastructure users, the private sector, and external sources together already contribute about US$45 billion. About two-thirds of the existing spending is domestically sourced, from taxes or user charges, and channelled through public institutions, making the public sector (these being governments and non-financial public enterprises) the most important financier of capital investment. 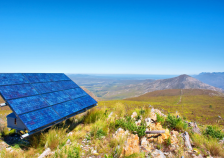 Evidence suggests that a lot more can be done within Africa’s existing resource envelope if inefficiencies totalling about $17 billion a year could be eliminated. However, even without these inefficiencies, the AICD estimated a minimum funding gap of about US$31 billion per year for Africa. In the past, governments in Africa have been almost wholly responsible for the provision of infrastructure, which has traditionally been regarded as a public good. Government provision of infrastructure has been justified on grounds of infrastructure being a prerequisite for economic development, but that users would not be able to bear the full costs for provision and maintenance; practical difficulties in charging users; and that infrastructure provides benefits to groups other than the direct users (2) so that benefits of the investment may exceed the potential revenue from user charges. 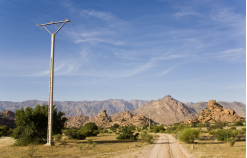 In the developing world, the involvement of the private sector in infrastructure financing has been slow to take place except in the areas of ICT and energy generation. This is because of the low level of users of transport infrastructure facilities especially, which has resulted in infrastructure not having a positive financial rate of return, and because of the difficulties of charging all the beneficiaries of the infrastructure. Lack of well-structured and prepared projects to sustain deal flow. All of these potential measures require closer analysis in the quest for mobilising additional resources from the private sector as no single measure provides a panacea for closing the gap. The funding of regional infrastructure presents a particularly complex challenge, and instruments such as regional bonds (possibly issued by using an intermediary) and a regional road levy could be investigated, the latter to promote a more equitable arrangement between the beneficiaries and the funders of regional roads. Project risk can be reduced by good management. The financing vehicle may better align incentives for managing a range of project risks with responsibility for risk management. For example, Public-Private Partnerships (PPPs) may assist in transferring construction and operational risks to private partners, while government retains regulatory and demand risk with a commitment to underwrite minimum revenue from user charges. The following would appear to be the main feasible instruments or potential sources of finance. The use of the Government Budget remains the primary source of financing for the region’s transport infrastructure although, over the last 10-20 years, significant changes have been introduced in the way public sector funding takes place. There is an increasing acceptance enter into PPPs and concessioning arrangements on transport infrastructure financing, even when it is clear that, in the short-term anyway, the user-pays principle will not cover all costs. Some governments enter into concessioning arrangements (such as build-operate-transfer arrangements) and then subsidise the concessionaire until the tolls or taxes from users cover the costs of construction, maintenance, overheads and profit and when these costs are met, revenue flows are reversed, with the concessionaire paying the government a dividend. Financing on a pay-as-you-go basis avoids transaction costs of raising finance. Moreover, infrastructure investment can be presented as fiscally responsible and financially prudent if governments spend only what they can currently ‘afford’. This approach avoids a direct liability on future revenues, which may be important to keep credit ratings intact and preserve borrowing capacity for other circumstances. PPPs bring in private sector management skills and can lead to efficiency gains by using one entity to do the design, construction and operation and provide finance. There is evidence that private sector partners are more realistic in their estimates of construction time and costs than public agencies. Private partners have an incentive to develop a realistic financial model that takes into account all costs and revenue flows. PPPs work best where government has the necessary and detailed skills in contract negotiation and management, and where there is adequate competition for the projects. The main advantage of PPPs comes from lowering the total cost of the project through improving project risk management. Contract negotiation can be lengthy but PPPs provide a more flexible, and potentially, more timely source of finance for important infrastructure investments that might otherwise be constrained by public debt pressures. The risks of PPPs lie in the amount of rent governments expect to obtain. If the rent is too low then a valuable source of revenue is wasted. If the rent is set too high the probability of failure increases and the risk of contingent liabilities for government increase. Government franchising involves a government or public-sector agency (the franchisor) granting an exclusive right to a private or other independent entity (the franchisee) to occupy, operate and maintain publicly owned infrastructure facilities to deliver services over a predetermined period of time. This approach differs from licensing arrangements whereby businesses are granted permission to supply infrastructure services with their own assets. Franchising schemes should assign risk to the parties best able to manage and control them. Infrastructure franchises have usually been awarded on a fixed-term basis, often exposing franchise holders to considerable demand risk, which investors are often unwilling to assume without government guarantees. These contracts are also inflexible, since it is difficult to determine a fair level of compensation to the franchise holder if the contract is terminated early or modified. Under an alternative mechanism, the franchise is awarded to the firm that asks for the least present value of user fee revenue for a given tariff structure, and the franchise ends when the present value of user fee revenues is equal to the franchise holder’s bid. Where there are parastatals in operation, such as the railway sector or in the ports sector, it may be possible for the parastatal to increase its debt-to-equity ratios and so increase their levels of leveraging. However, in Africa, many parastatals have high debt-equity ratios and it it is neither feasible nor practical to advocate this type of instrument to be used to finance infrastructure. 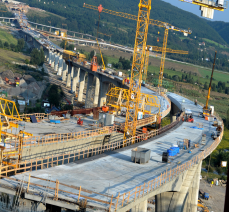 Infrastructure bonds are debt instruments such as bonds, debentures and stocks issued for the purpose of financing specific infrastructure by the public sector. These borrowings are usually secured on the asset, or against the revenue stream arising from the asset. They do have a number of risks in that the issuing governments are not able to avoid contingent liability (3). Transaction taxes (4) can be raised on the sale of specific financial assets (such as stock, bonds or futures); can be applied to currency exchange transactions; or can be general taxes levied against a mix of different transactions. 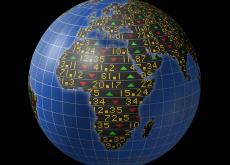 With the rise in the number of stock exchanges in Africa, transaction taxes may become a viable way of raising funds as trading in stocks and shares grows. Equally, as most countries in the Tripartite region have liberalised their current and capital accounts, there are now large numbers of currency transactions taking place in the region which also adds to the practicality and feasibility of using transaction taxes to raise finances to pay for regional integration programmes. An in-depth analysis on the efficacy of financial transaction taxes would need to be done (5). None of the above instruments are without complication. However, only by considering the concrete implications of combining different sources of finance and instruments can we then hope to put in place the infrastructure required in Africa to promote broader-based development. Mark Pearson is the Director of TradeMark Southern Africa programme. 1. 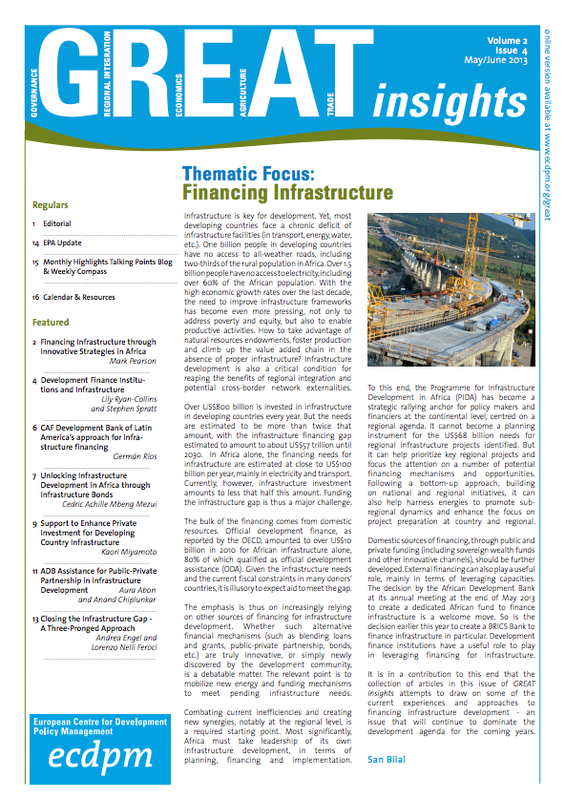 These issues are discussed in depth in a forthcoming TMSA paper on “Infrastructure Funding and Delivery in the COMESA-EAC-SADC Tripartite Region – Potential Role of the Private Sector” by Johan Kruger and Lolette Kritzinger-van Niekerk. 2. Modern day examples would include the effect of public transport on road congestion and green-house gas emissions. 3. Contingent liabilities are possible future liabilities that will only become certain on the occurrence of some future event. 5. Honohan and Yoder (2010) concluded that attempts to raise a significant percentage of GDP in revenue from a broad-based financial transactions tax are likely to raise much less revenue than expected, while also generating far-reaching changes in economic behaviour.